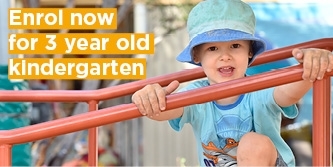 At Yallambie Park Preschool we place a strong emphasis on encouraging a positive approach to learning. Our activities and learning experiences inspire children to discover and realise their full potential. Our educators value each child as an individual in a warm and caring environment. The focus of our play-based learning programs is to develop and extend children’s skills and ideas. This promotes self-confidence and independence. Preschool is guided 'informal education'. This means children are free to move from activity to activity and work at their own pace, under our educators' guidance. 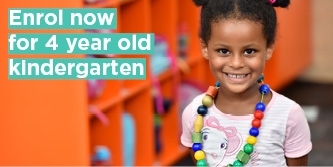 Our learning programs are flexible and based on the children’s ideas and needs. This allows children to determine the nature and direction of their learning experience. We believe this kind of environment inspires individual creativity, expression and resourcefulness, stimulating children to reach their potential. The programs we provide are based on children’s prior experiences, knowledge, abilities and interests. We encourage children to draw on the experiences and cultural backgrounds of others to expand their own perception of the world. Physical skills, which are refined and developed by climbing, jumping, cutting, threading and woodwork. Yallambie Park Preschool has been rated as Exceeding National Quality Standard. Information about the National Quality Standard. We recognise the importance of active play and offer activities that help refine children’s gross and fine motor skills. We plan activities where the children can run, play ball, climb, swing and explore. There are endless opportunities for adventure!